Rohit Rishi’s success suggests that running a successful coffee franchise is more about a positive attitude and less about a barista background. Rohit Rishi is the 40-year-old owner of a Gloria Jean’s Coffee franchise in Williamstown, Victoria. Speaking to us during the lull between lunch and the arrival of school kids, Rohit discussed his background as a chef and how having a mentor could save you a lot of money. 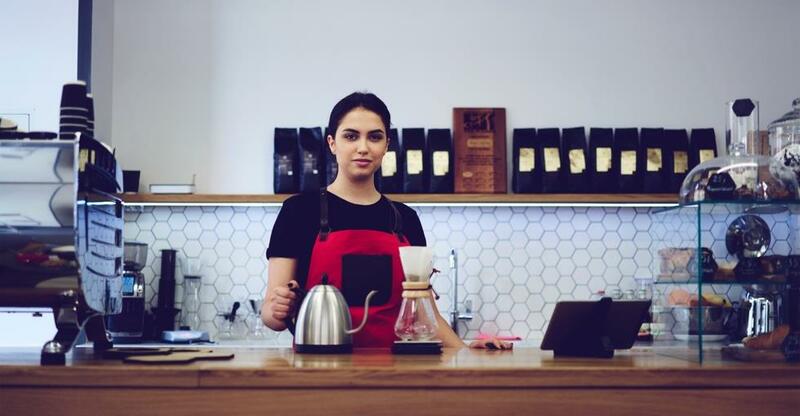 BusinessesForSale.com: What did you do before running the coffee franchise? Rohit Rishi: Involvement in hospitality is the basis of my previous career. I’m a qualified chef, so my background is working in the food industry. I’ve been looking to buy a business of my own for the past year but took my time because I wanted it to be the right one. BFS: Why did you decide to buy this particular franchise? Did you have a passion for coffee or think this was a buoyant sector? RR: Mainly because it’s an established business with a solid trade history. It opened back in 2005, so it’s been running for just over 12 years. I’ve been the owner for eight months and I’m enjoying the challenge. To be honest, the coffee-making aspect of the franchise was my weakest point. As I’m a chef, my expertise lay more in the kitchen and I’ve had very limited exposure to coffee. I had to have professional training with head office, and now I can confidently say I know coffee very well! BFS: What are the advantages of being part of a franchise? RR: Aside from the training and support from head office, you are part of a tiny but very close community of franchise owners and you share ideas and learn from each other’s mistakes. Also, there is always back-up with a franchise. I’m still relatively new, so a performance manager comes in every six weeks and she answers my questions and clarifies things for me. BFS: Were there any transferable skills from your previous job? RR: Yes, definitely. I’ve been able to bring my cooking and kitchen management skills to the business, which has seen a significant rise in food sales: from 16% to 23% of the profits in the past eight months. BFS: What kind of customers do you attract? RR: The customer base is predominantly older people and school kids. The retirees have a senior discount and we have a loyalty programme in place where they get every 10th coffee free. We get a lot of school kids coming in. They love the Gloria Jean’s ‘chillers’, which aren’t available in any other cafe in Williamstown. My intention is to introduce the new fresh food range in store – ‘fresh is best’ – where the majority of food preparation happens on the premises. My hope is that this healthy lunch option will encourage families to come in during the day. BFS: What kind of third-party advice did you get before buying a coffee franchise and what was the most helpful? RR: Before choosing this business, I enrolled in a couple of workshops at Griffith University in Brisbane. I wasn’t sure what I was doing – I was running around like a headless chook when I first thought about buying the Williamstown store – so I learnt about the financial fundamentals of running the business. These courses made me learn the finances inside out; how to interpret the figures and understand them. Even then I was a little sceptical about going ahead and was fortunate to be referred to an independent business mentor, which was a real turning point for me. I can’t praise her enough for the way she helped me when I first set up. Her top piece of advice to me was “always read the fine print”, but also make sure you understand it, and that you know the terms and conditions and how to negotiate. BFS: What would be your top piece of advice for someone thinking about buying a franchise? RR: Be proactive. I've made mistakes, and I’m still on a learning curve, but actively learning from the negatives and turning them around is important. For example, foot traffic has been down at the store recently, so I’ve been active on social media, and offering discounts in conjunction with other local businesses. I’m always trying to think of new ways to market the business. The main thing is not to accept the way the previous management ran the business; it’s about making it your own and putting your unique stamp on it. Also, I would advise everyone to get a mentor. I estimate it has saved my business around $60,000 so far! Feeling inspired to buy a cafe or coffee franchise? Take a look at our food franchise resales (existing businesses) or check out the cafe and coffee franchises on our franchise section. Alternatively, browse our independent coffee shops for sale. Australians are passionate about their coffee and the trade is booming. From setting your priorities to spotting a bargain, here are some tips for buying a coffee shop. Here are some tips on preparing for sale, business valuation, finding buyers, and negotiations and legalities. The numbers behind burgeoning demand for sit-in and takeaway coffee, why independents dominate the Australian market and the pros and cons of franchising.